1. Is it taking too long to fill open positions? 2. Do you have too much to manage and not enough hours in the day to focus on the sourcing and recruiting process? 3. Is your recruiting team smaller than ideal for your current requisition volume? 4. Do you use several different recruiting agencies, resulting in high recruiting costs? 5. Does your internal team lack the time and bandwidth necessary to find the most qualified candidates? 6. Have your positions become harder to fill than they were a year ago? 7. Is your demand for labor higher than the supply from which you are currently recruiting? 8. Are you planning to add or expand a service line or product offering? 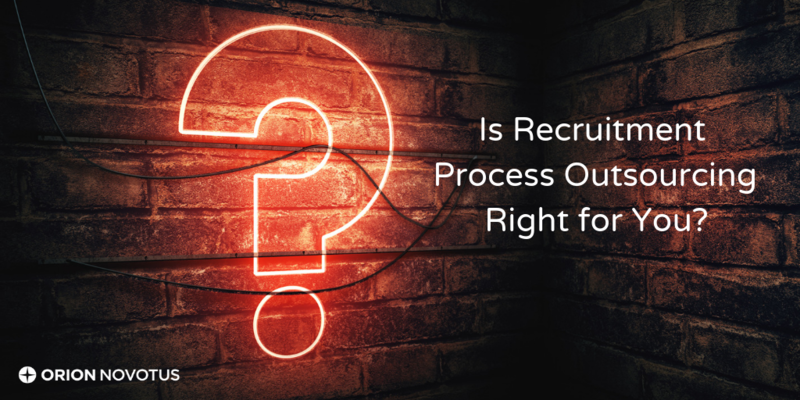 If you answered YES to any of these questions, RPO may the solution to your hiring challenges. In RPO, businesses outsource an entire sourcing, recruiting and hiring need to the experts at Orion Novotus. From the first requisition to the final hire, we handle every placement. RPO is not just a hiring strategy, but an overall business strategy that helps tackle productivity and profitability issues. Check out our infographic below to learn more about RPO and determine if it's a good option for your organization. If you are interested in hiring faster, lowering your recruiting costs, and improving your turnover rate, contact Orion Novotus to get started today!